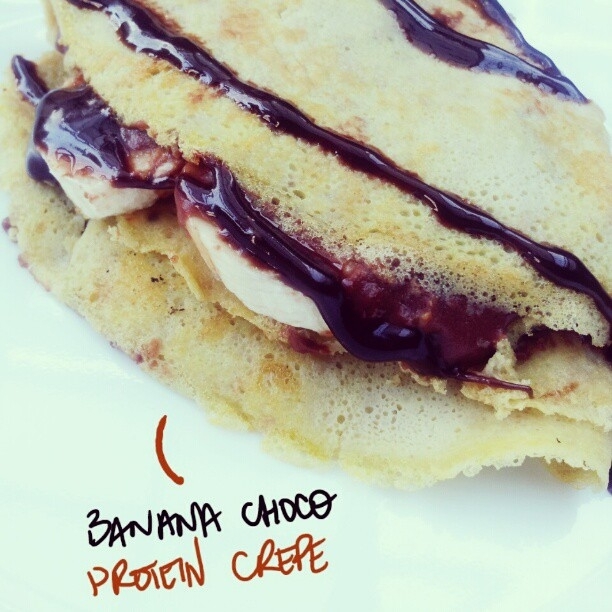 3 ingredient banana chocolate protein crepe. I was supposed to save it for dessert but I couldn't wait! Crepe: Mix 1/2 a banana, 1.5tbsp water, and 1 egg and cook on a pan on low heat. Filling: Mix 1 scoop of chocolate protein powder with just enough water to make it into a spread, add sweetener of your choice, spread choco protein around crepe and slice up the other half of banana and place on top of chocolate spread. Fold and enjoy!